As multi-denominational clergy, Harris Shore has served as cantor and spiritual leader for Hollywood Temple Beth El, The Los Angeles Jewish Home Eisenberg Village in Reseda, and for Congregation Beth David in San Luis Obispo. He has customized services for and officiated at all Jewish lifecycle events, and is a B’al Tokeiya – sounds the shofar. 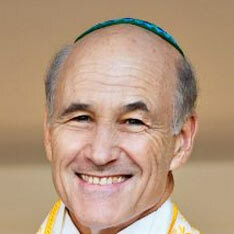 Cantor Shore is a member of the Cantors Assembly of America. As a professional actor and entertainer, he worked in New York for many years, enjoying success on stage, in television shows and commercials, and as a solo artist in nightclubs and on ships throughout the world. For two years as The Handy Hazzan in his online blog for the Jewish Journal, Cantor Shore shared his passion for home repairs and tikkun olam. His videos are still visible online today. He has restored and maintained several antique homes, and lives in an old Craftsman style home in Hollywood California.